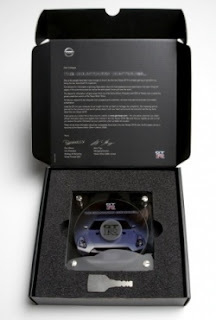 The vehicle is available to buy in 2009 and the Didsbury-based agency has developed DM packs for 1,500 Nissan dealers across Europe.The packs, which come in the form of a black box, encloses a multimedia CD that reveals an exclusive preview and insight into Nissan’s new supercar. Locked between two glass panels and four screws, the interactive CD can be released by a key within the box. The pack is the third and final element to a staggered campaign.